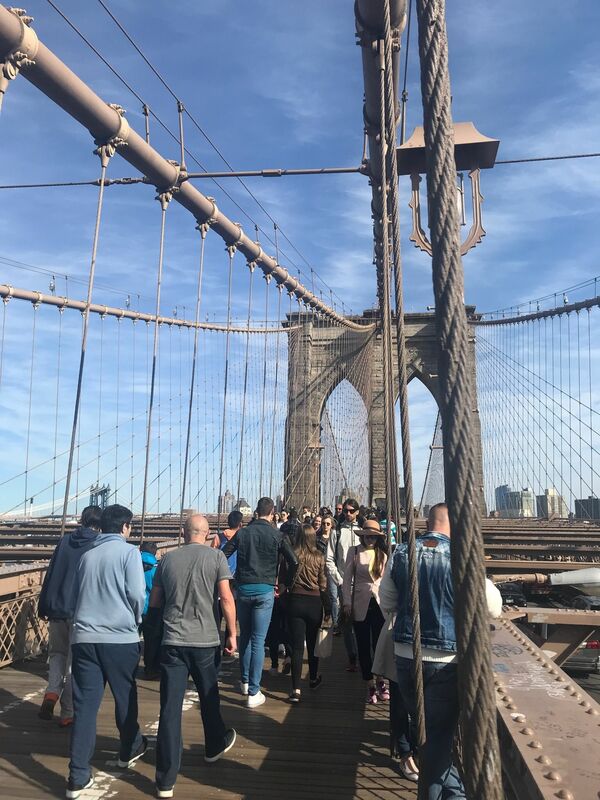 Brooklyn Bridge Walk is a 2.4 mile heavily trafficked out and back trail located near New York City, New York that features a river. The trail is good for all skill levels and is primarily used for hiking, walking, and trail running. Dogs are also able to use this trail but must be kept on leash. 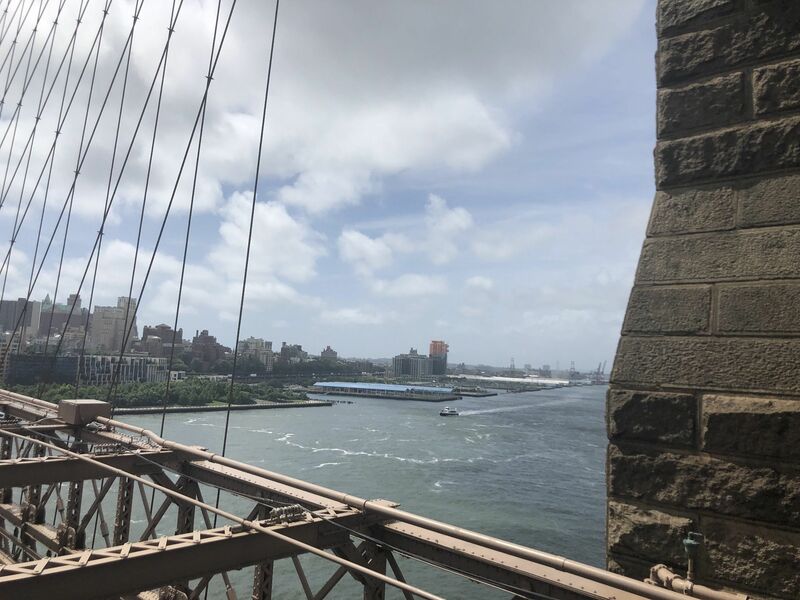 This is a fun and scenic walk from Manhattan to Brooklyn across one of the country's most famous bridges. 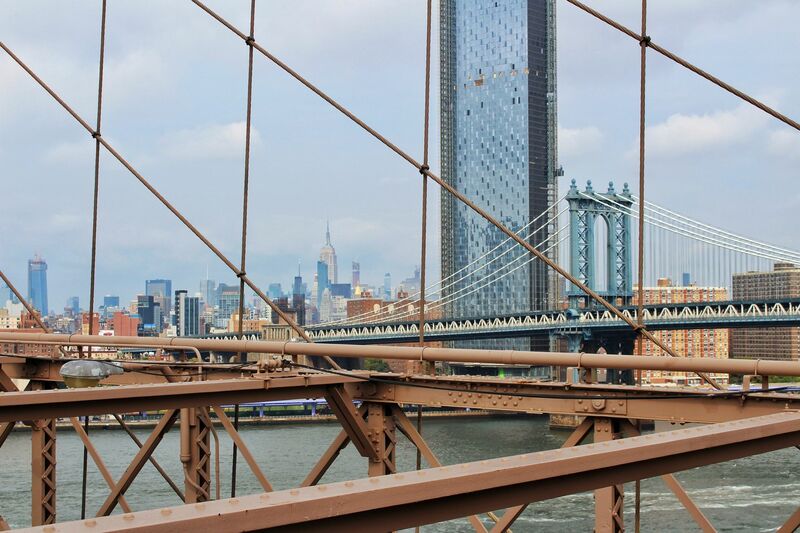 This can be a crowded or mellow stroll across the East River. Drink vendors line the bridge, which can be helpful in warm, humid weather. 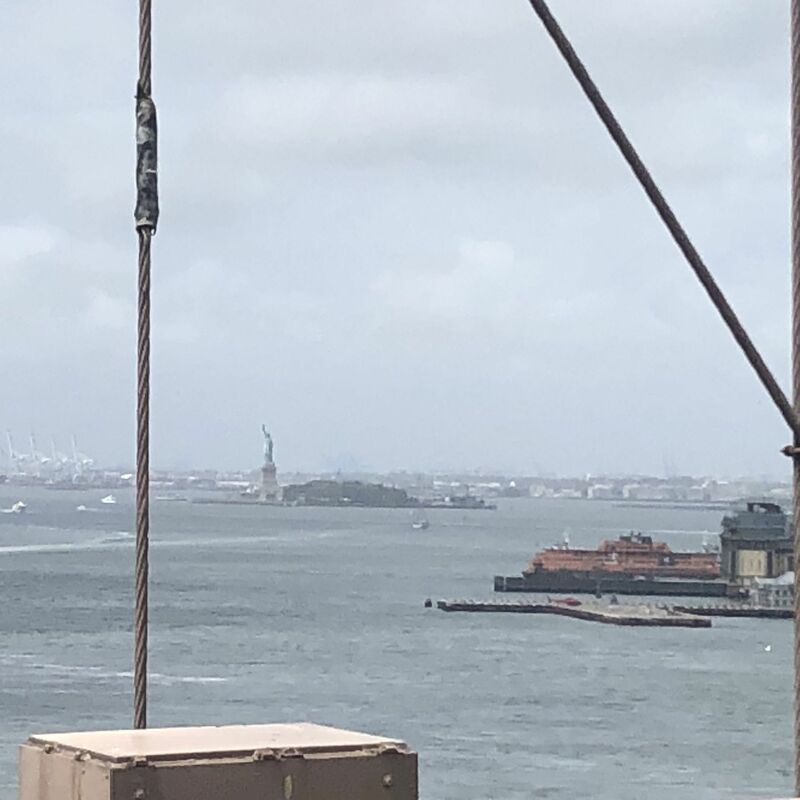 To your right, you can spy the Statue of Liberty in the distance, along with dozens of boats and helicopters. 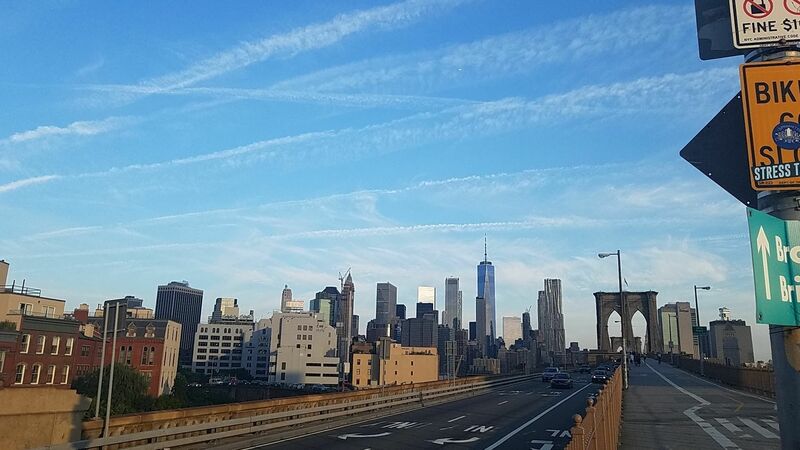 To your left is the Manhattan Bridge. 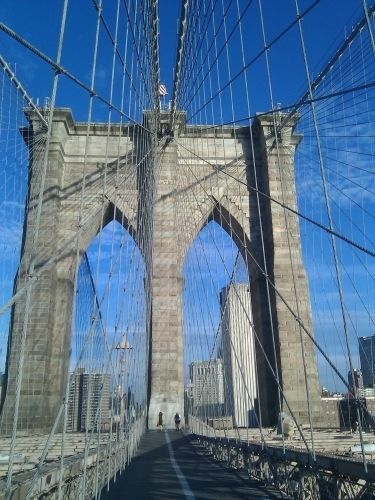 Completed in 1883, the Brooklyn Bridge was originally designed by German civil engineer John Augustus Roebling. 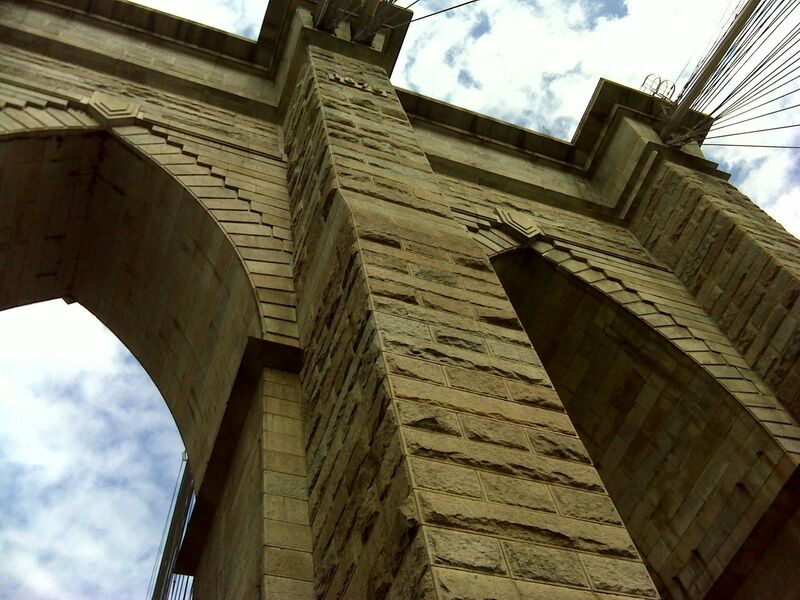 The bridge's construction became a family affair, when Roebling fell ill and enlisted his adult son, Washington, to lead the project. Not long after Washington assumed the charge of the bridge did he also need to pass the baton after he suffered permanent physical damage while working in the sealed underwater foundations for the two towers (an ailment known as caisson disease, decompression sickness or more commonly "the bends"). Washington put his wife Emily in charge, and for more than a decade she managed the day-to-day operations of the bridge construction, bringing instructions from her bed-ridden husband to the job site and updates back to him. 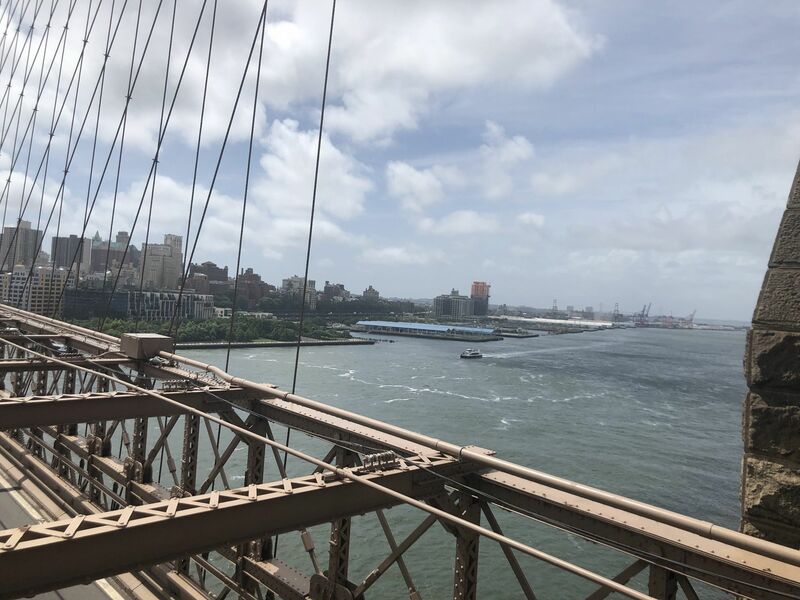 She became highly knowledgable about the engineering intricacies of the bridge, impressing politicians and other engineers with her capabilities and leadership. In the official opening ceremony, on May 24, 1883, Emily was the first person to cross the bridge. 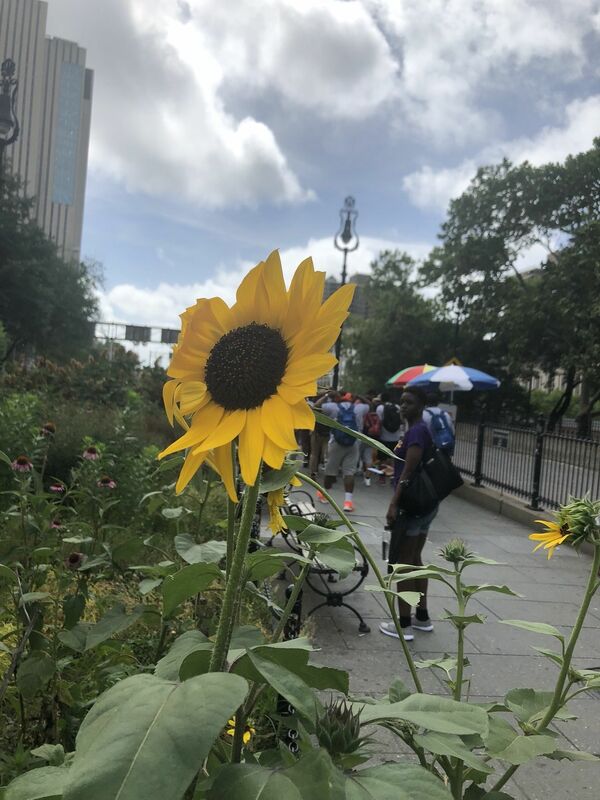 On the Manhattan side, begin the walk across the bridge in the small park next to the Manhattan Municipal Building, an impressive 40-story Beaux-Arts building with a subway station in its basement. The Manhattan Municipal Building is across Center Street from City Hall Park. You can take the subway or a taxi to get here. The subway actually drops you much closer to the start than the taxi can (too many busy streets and freeway on ramps for a taxi to slow down nearby, so they have to drop you a ways away from the start). 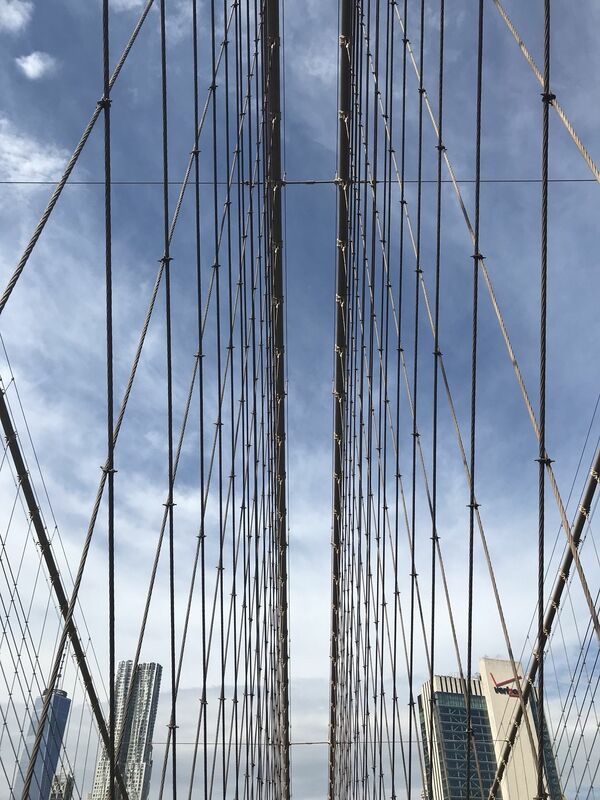 Start looking for where the pedestrians and cyclists are headed, along with any food and drink cart vendors who are at the ready for would-be bridge crossers. Halfway across the bridge is a great spot to take pictures, observe all of the activity on and over the river (boats, helicopters, cars zooming below you) and people watching. Look for the sign "Brooklyn Heights and DUMBO: Washington St. and Cadman Plaza" with an image of a pedestrian descending some stairs. 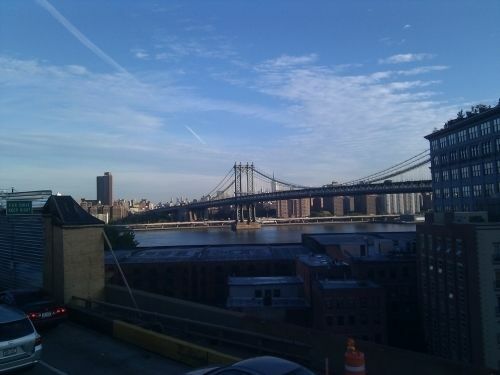 (Note: DUMBO stands for "down under the Manhattan Bridge overpass" and refers to the neighborhood there.) Once you are at street level, look for maps and read the keys to find the stops and sites you're after. For example, the River Cafe and Brooklyn Ice Cream Factory are next to each other on the waterfront and No. 2 and No. 3 respectively on the sign. Grimaldi's Pizzeria is No. 8. Being under the crisscross of the bridge's on and off ramps make navigation difficult. Of note, you will be crossing UNDER the bridge and feeder expressways a few times. While the track looks like you will cross over the expressway or bridge, you are going underneath, safe and sound. Bring water, especially on a hot day. Finding the entrance and exit to the bridge is not obvious. These POIs and map should help. 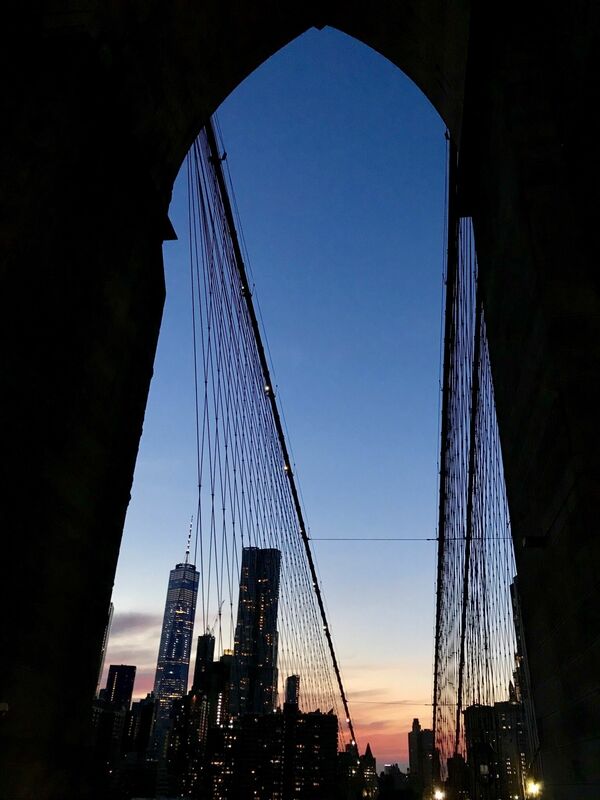 Great way to see the skyline of NYC and others walking the city’s most famous bridge! Worth the time and excitement. Great views all around but extremely crowded and way too many rude cyclists. Very touristy but definitely something you should do once. 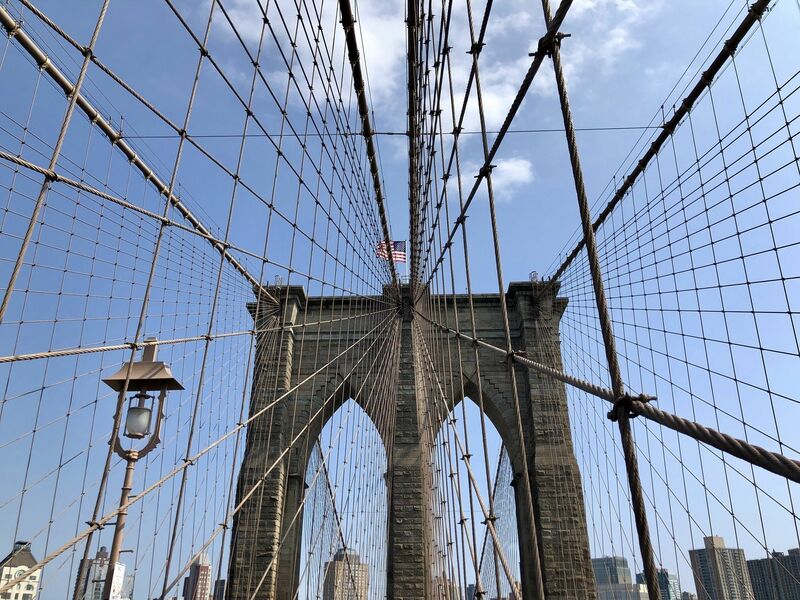 2nd time in NYC and the Brooklyn Bridge walk is a must. The view of the city is amazing. 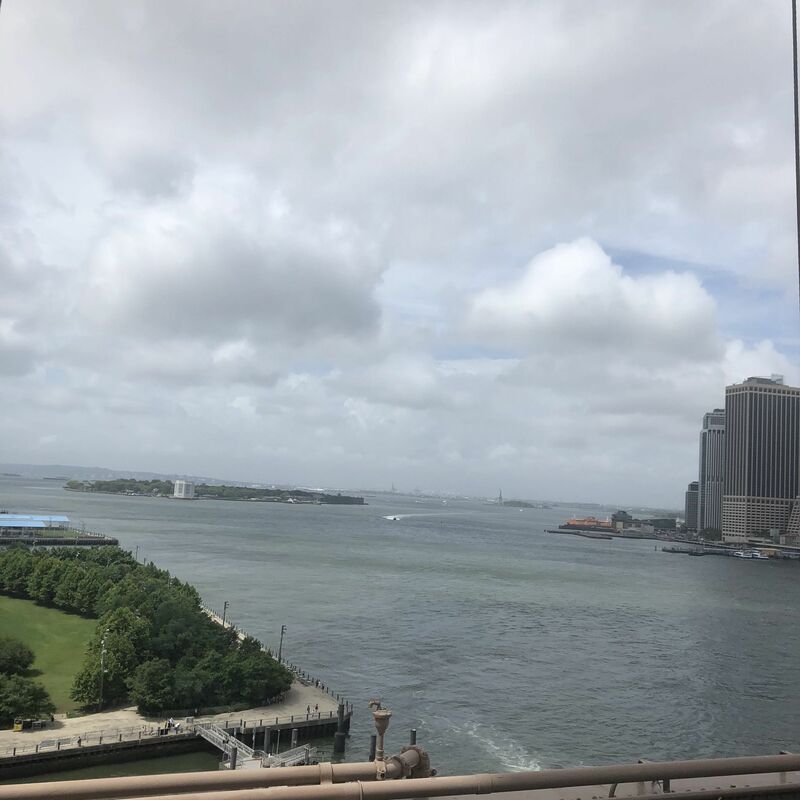 Great views out over the East River and back toward New York Harbor, and some interesting historical markers along the way. One of the most iconic bridges in the world. But man does it get crowded! Keep out of the bike lane unless you want to get run over. 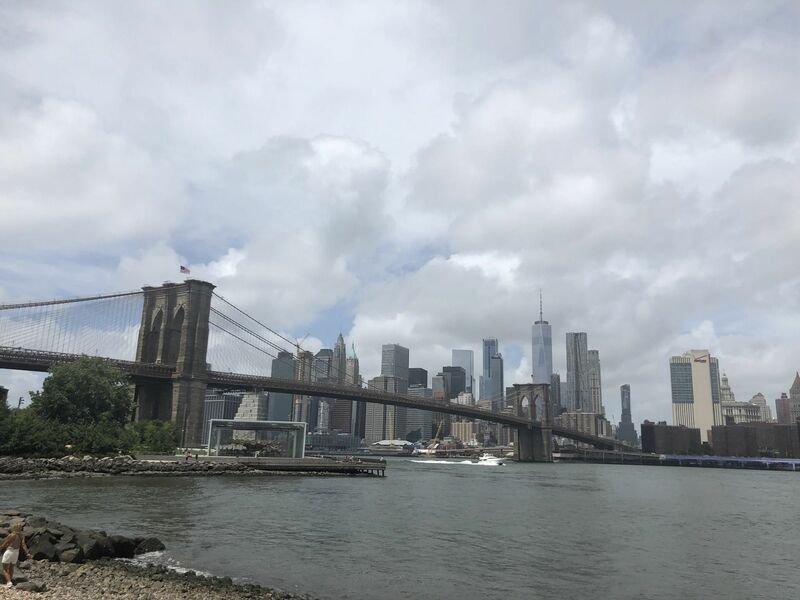 Nice walk to DUMBO where you can have a quick lunch, then return to Manhattan. Crossed this off my to-do list. Such a historically important bridge, was cool to walk through history a little bit. I went at 7am on a drizzly Thursday morning, so crowds weren't too bad. Did this one at night. Exhilarating walk above the river with cars flight by and city lights all around! Stunning views, but so crowded. 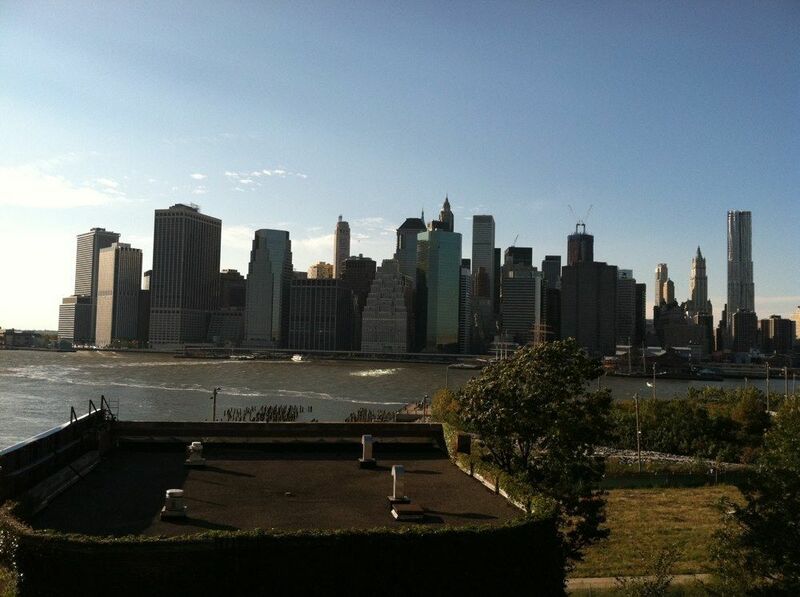 My favorite view of the city, especially when you continue walking along to the Heights. I love this view of the city. A fun walk with some nice scenery. Great exercise with some additional walking opportunity's on either side. 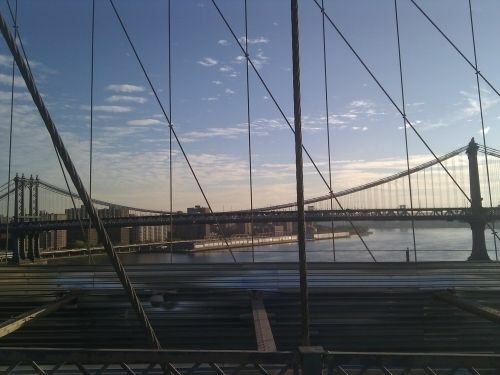 awesome ride on the bridge! Iconic thing to do when in NYC. 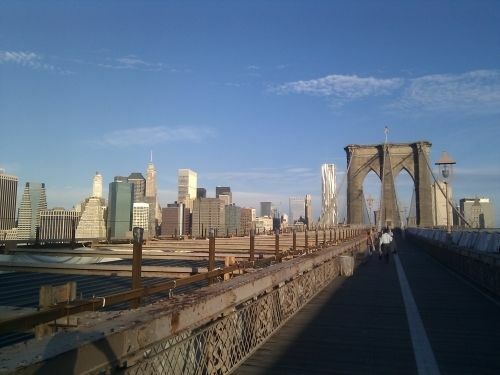 We walked from Brooklyn towards Manhattan so we could see Manhattan as we crossed the bridge. Very busy with lots of people and bikes. what a wonderful view, I hope I can go there one day. 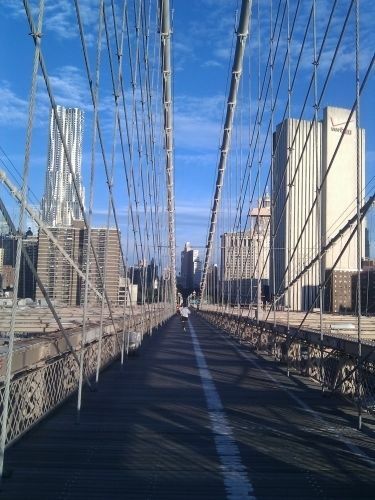 I enjoy walking across bridges. 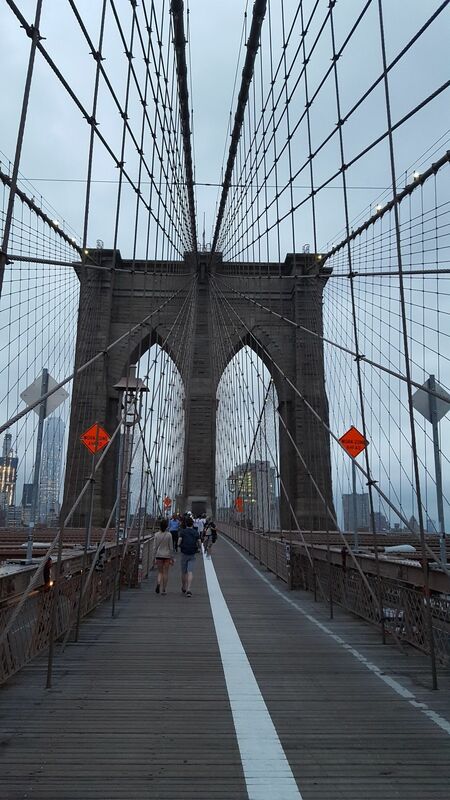 Brooklyn Bridge was an awesome one to cross with the crowd out of NYC. Help - these apps are not found in the Australian iTunes store and Apple won't let me buy items from the US store. I enjoy this walk from Brooklyn to Manhattan, so you can see the Manhattan skyline as it begins to light up. This can be accomplished with a late morning visit to Battery Park and a ferry ride to the Statue of Liberty and Ellis Island. Once done, come back to Battery Park, catch the R line to Brooklyn Heights. 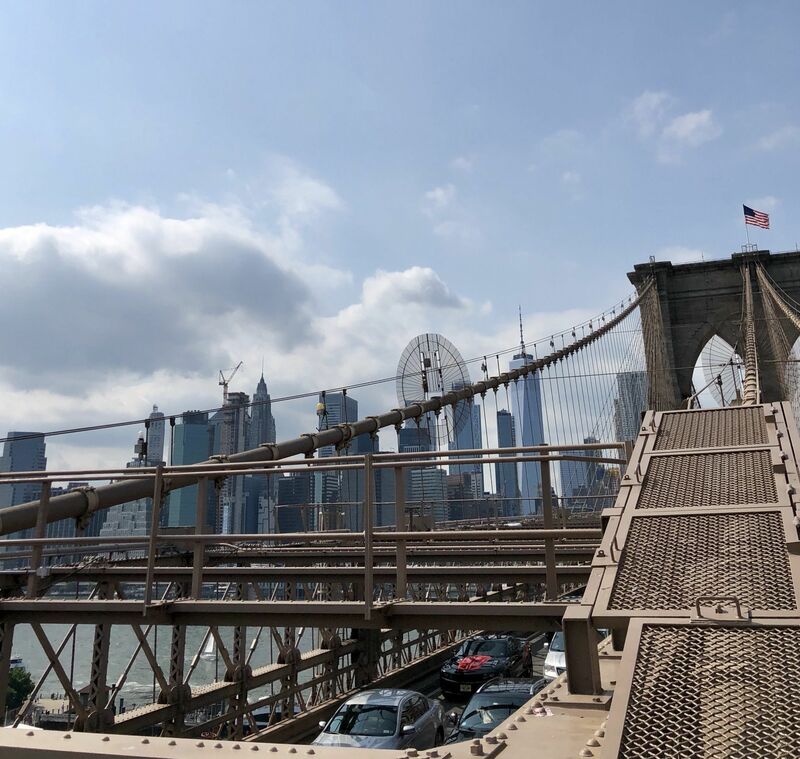 This is a wonderful neighborhood to walk through as you head toward the Brooklyn Bridge Park Greenway, where the East River joins the Hudson. 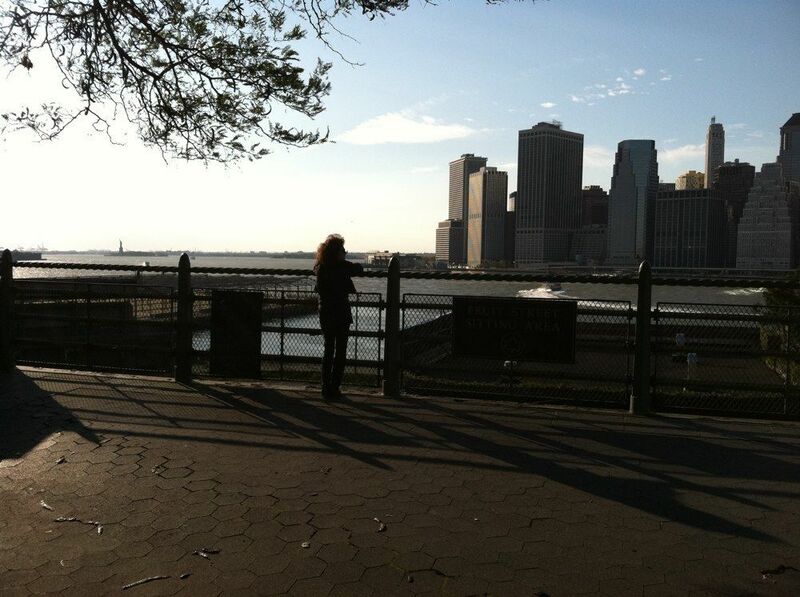 This is a beautiful walk with views of Liberty Island, Battery Park and lower Manhattan. Follow up the greenway toward the Brooklyn Bridge. You must stop at Grimaldi's pizza at the base of the bridge. Delicious coal brick-oven pizza that you will make a regular stop on your trips to the city. 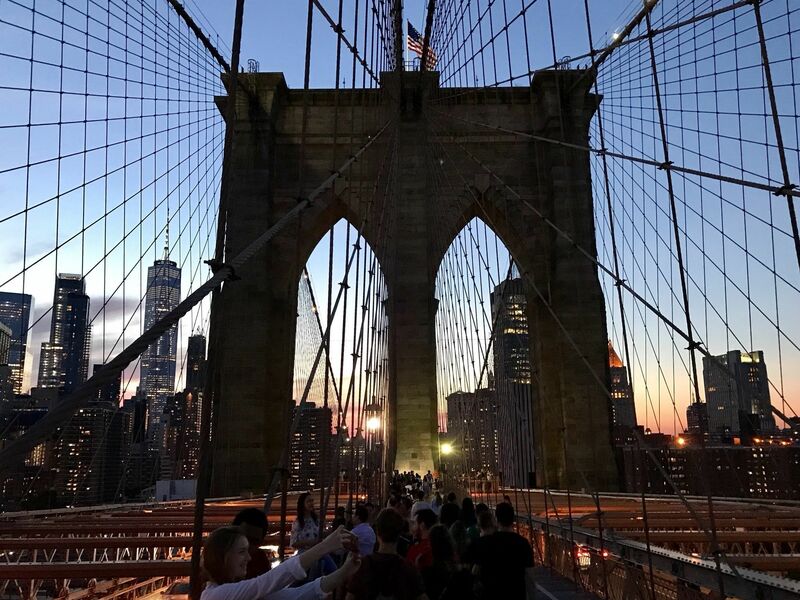 After enjoying Grimaldi's, hop up on the Brooklyn Bridge and enjoy the sights of Manhattan slightly before dusk starts to set in. 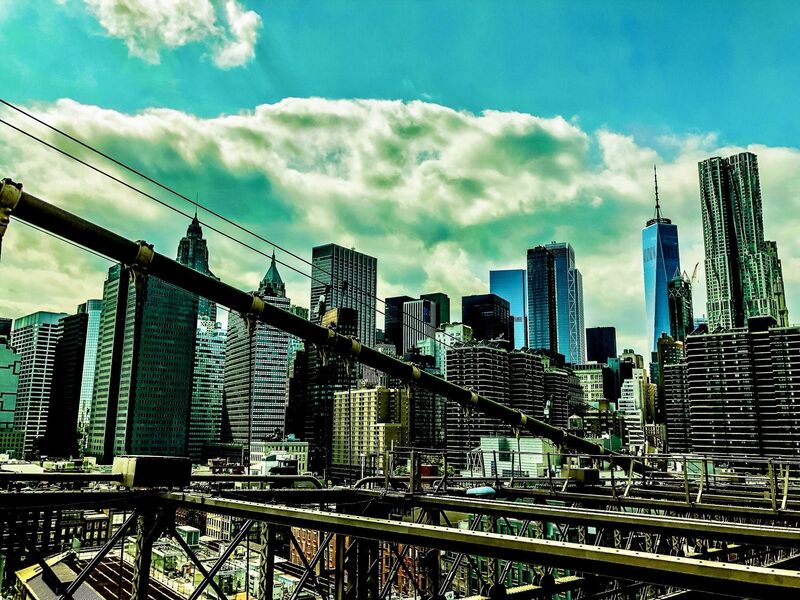 As you walk, the lights of Manhattan begin to transform the skyline. 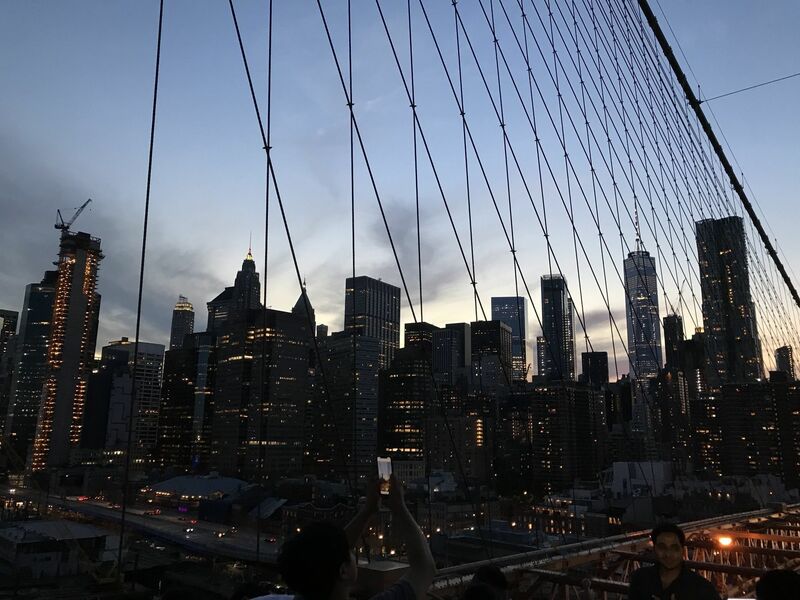 Get to Manhattan and continue your walk to Little Italy for a gelato, Chinatown for a fun tour of the markets, or catch the subway back to midtown/uptown areas. 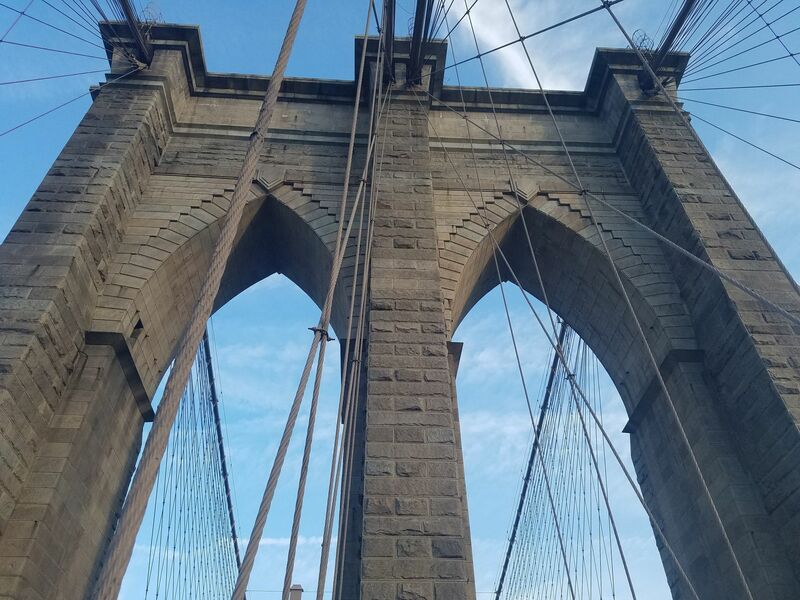 This is a fun and spectacular day of walking, sightseeing, classic NYC pizza and gelato! Have fun! 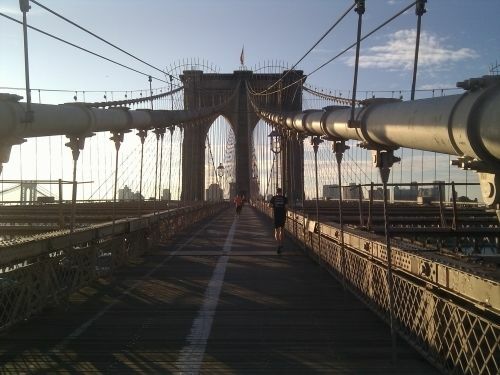 We started on the Brooklyn side - but ran - through Chinatown and back! 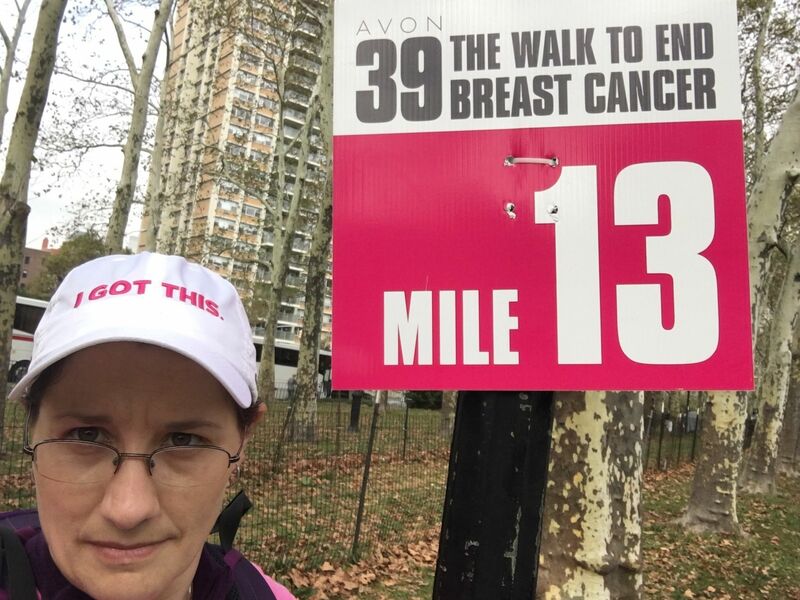 Loved every step of it! 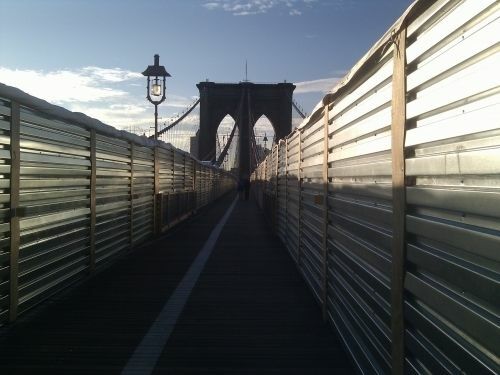 I walked the Brooklyn Bridge during a business trip on an early morning in September 2010. 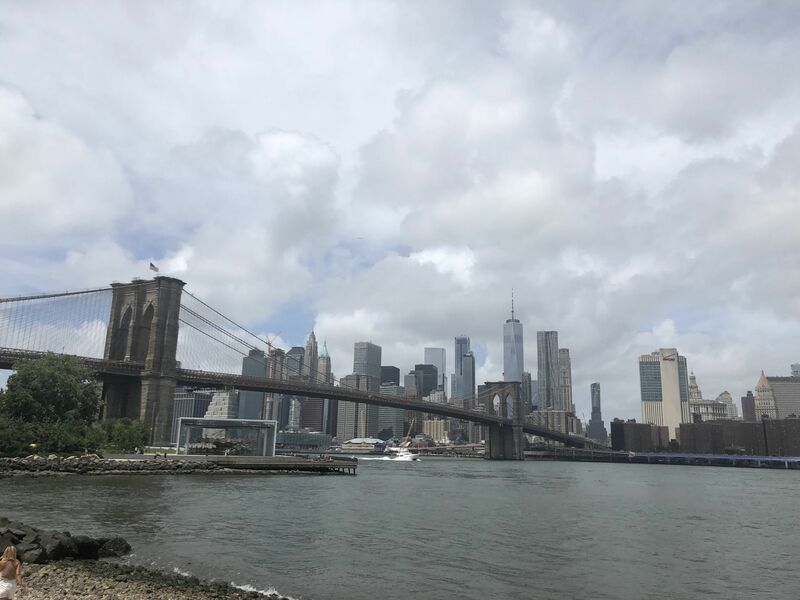 It offers one of the rare opportunities in New York, Central Par being another one, to escape the urban jungle and catch some fresh air. 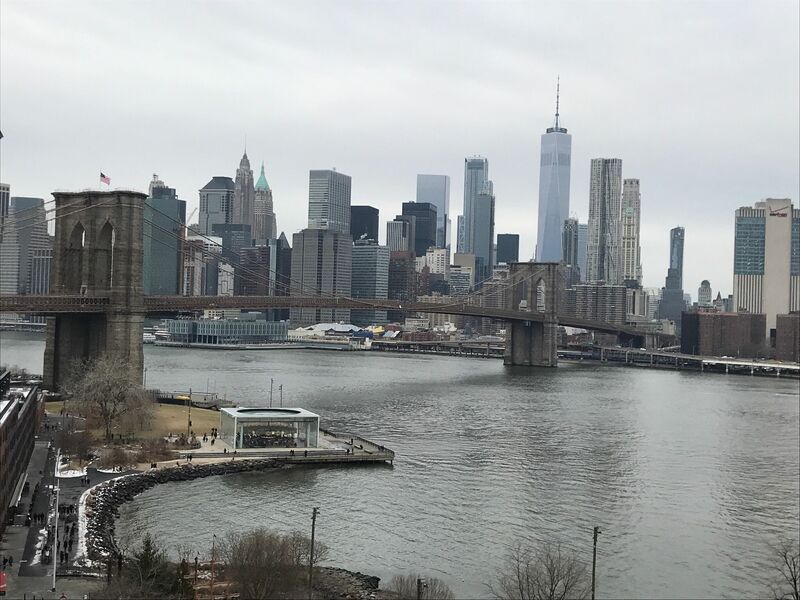 The views on Manhattan are incredible. Highly recommended for anyone who happens to be in New York, including families. This is also a great running route. 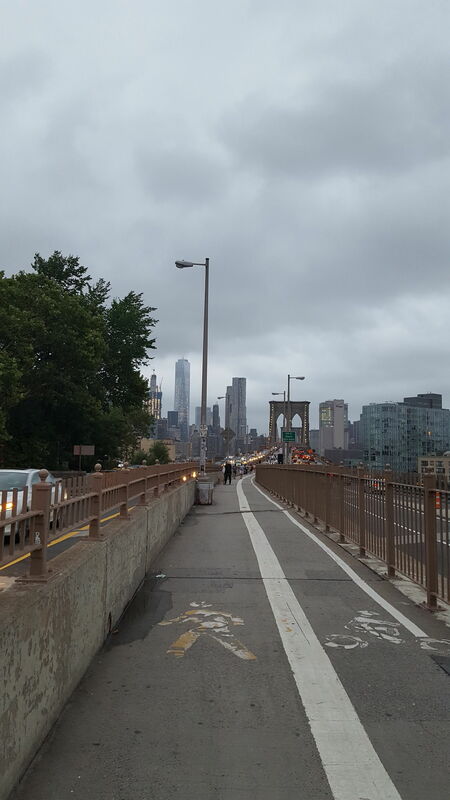 Be careful of bicycles, as the pedestrian portion of the bridge is shared.